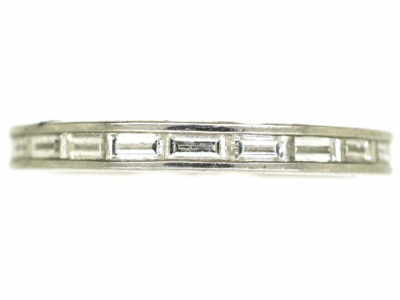 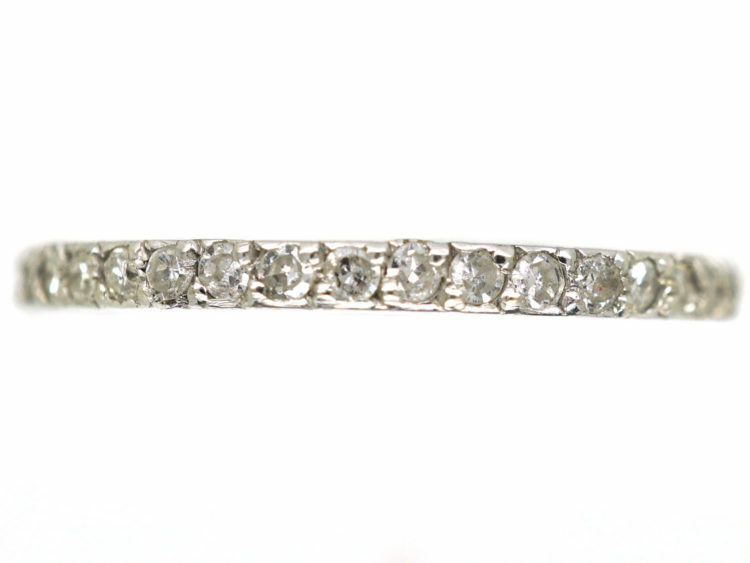 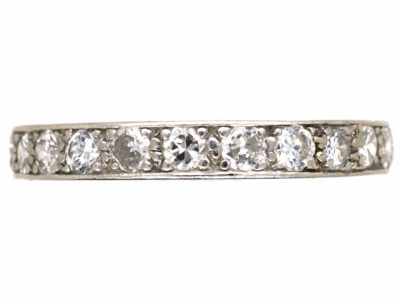 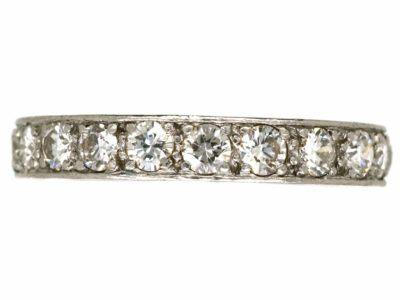 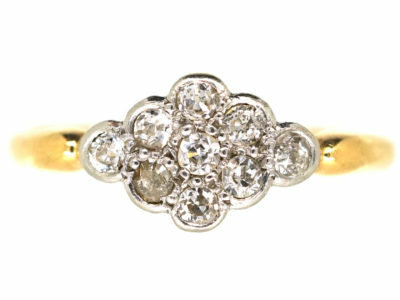 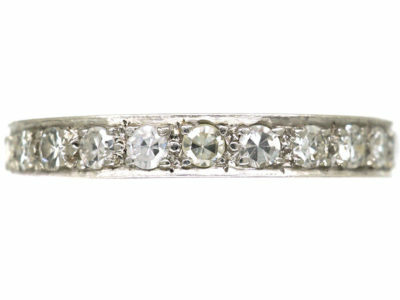 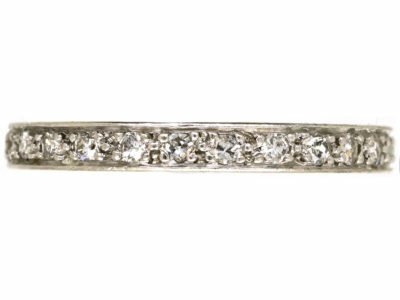 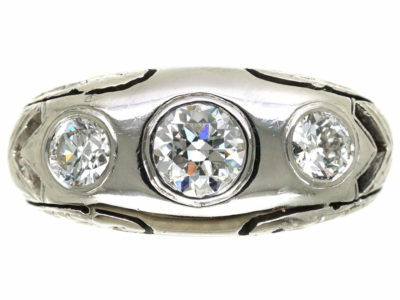 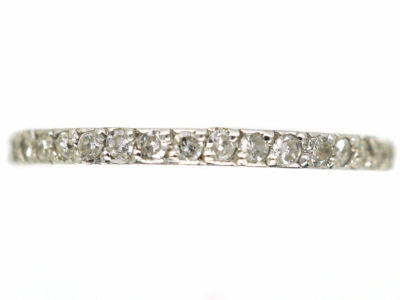 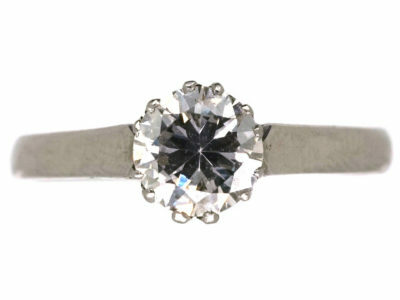 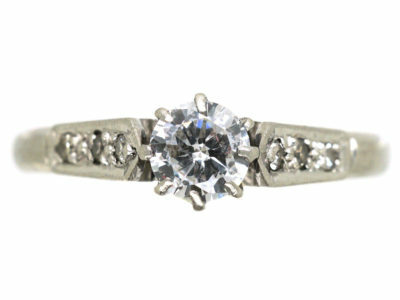 A very pretty eternity ring made in platinum with small diamonds set close together around it. 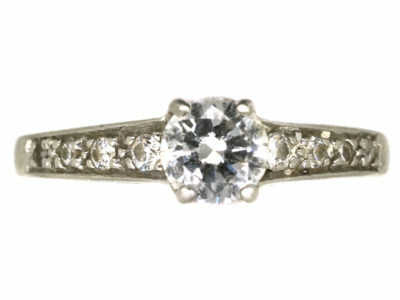 It is most likely of French origin and was made in the 1920s. 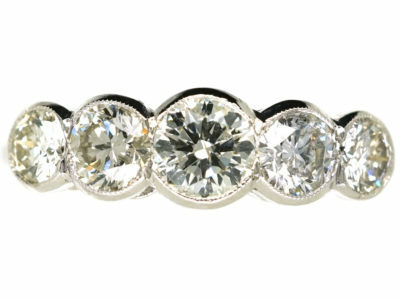 These eternity bands look wonderful on their own or stacked with other bands.